Apple picking season in Ohio usually beings at the end of August and runs through the end of October with different apple varieties like Honey Crisp, Golden Delicious and Jonagold ripening at different times during the season. 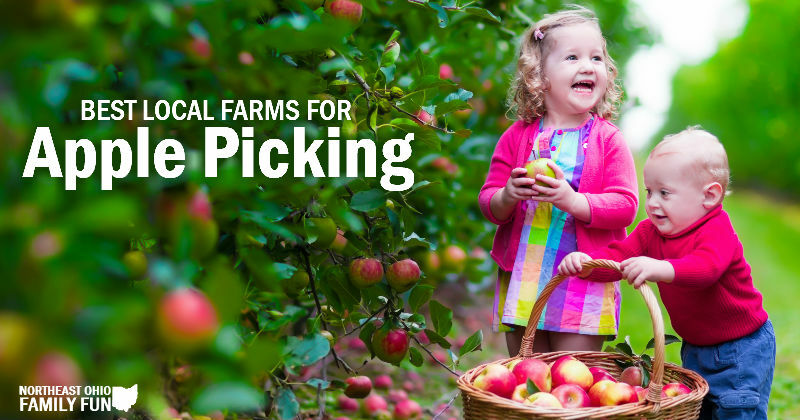 Some of the farms strictly offer apple picking, while others have fall festivals with many other activities in addition to pick your own apples. Our handy guide to apple picking in Ohio will help you find the best places to pick apples near you. Reminder: To avoid disappointment, use the information below and check the farms website or call ahead to make sure they have apples available for picking before you head out. In addition, some orchards many not accept credit/debit cards so remember to bring cash. If you know of any pick your own apple orchards not on the list, submit the details here and we'll get it added. This fall, enjoy some fresh air, sunshine and some farm fun at Arrowhead Orchards located in Paris Ohio. Pick apples, enjoy farm-themed fun, navigate the corn maze, take a wagon ride through the orchard and more! 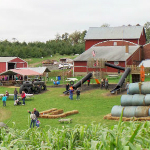 Located in Geauga County, Patterson Fruit Farm has something for everyone and fall is an especially fun time on the farm. Guests are invited to pick apples, enjoy farm-themed fun, navigate the corn maze, take a horse drawn wagon ride and more. Enjoy apple picking in this apple orchard in Ashtabula, OH. In addition to apples, they have other seasonal fruit including peaches, pears and pumpkins. Sweet cider is also available. At this apple orchard in North Royalton, OH, pick-your-own or select from fresh-picked apples. Hayrides are available. A pick-your-own apple orchard in Hiram, OH. Hours: Call for the latest info. A pick-your-own apple orchard in Chesterland; OH. The Eddy family still runs the farm after generations of devoted family members continue their friendly tradition. U-Pick: Mid-September through mid-October; call for specific varieties and timing: (440) 729-1964. Apple season begins around Labor Day and continues throughout the month of October. During Fall Festival Weekends, enjoy spiced cider and hot apple fritters in the fully decorated glasshouse, and pick your own pumpkins right from the patch. You will be surrounded by pumpkins, maize, cornstalks, and fun Halloween decorations. Apple Orchard in Amherst, OH. Pick juicy and crunchy apples right off the tree! They also have a Corn Maze. Pick-your-own apple orchard in Amherst, OH. The Farm market also offers jams, jellies, local honey, cider, pumpkins, and Indian corn. Some Amish produce is available in season. Miller Orchards has been a family owned operation since the mid 1800's. Hours: Open Monday through Saturday, closed on Sunday. Check their website for the latest times. Pick-your-own apple orchard in Seville, OH. Geig's own cannery, offers a variety of jams, pie fillings, and other homemade tasty treats. Stop in and try some of their products. Hours: Opening day for the 2018 season is August 1. Hours change monthly; call ahead for current hours. Pick-Your-Own Apples will be for 5 weeks beginning Sept. 30 and throughout the Month of October (weekends only), while the crops last. In the Farm Market, find locally grown produce or items homemade with fresh ingredients. Hours: Tuesday through Saturday from 10am-5pm, and Sunday from 1pm-5pm. Closed on Mondays except last Monday in October, before Halloween. Pick-your-own apple orchard in Medina, OH. Weekends are a family favorite, hayrides and a horse-drawn carriage (call for an appointment for carriage rides). Shop an assortment of canned, baked and farm-made products. The store offers apple cider, jams, honey, maple syrup, pumpkins, as well as home-made crafts offered by local talent. Hours: Tuesdays, Thursdays, and Saturdays from 10am-4pm. Pick-your-own apple orchard in Medina, OH. Their greenhouse is stocked with locally-grown plant and herbs, and they grow vegetables and fruit for their stand. The orchard allows you to pick your own apples in the fall. Visitors can also visit the cows, chickens, turkeys and pigs! Pick-your-own apple orchard in Benton, OH. Their local stores offer a wide variety of homegrown seasonal produce including a full line of assorted high quality fruits and vegetables, as well as local favorites such as non-pasteurized cider, freshly baked breads, and assorted jams and jellies. U-Pick Apples: Every year Stahl's sponsors a pick-your-own apples event at the North Benton location. This event takes place on the weekends, usually from the second weekend of September to the second weekend in October. Pick-your-own apple orchard in Hiram, OH. U-pick apples are available from mid-September through mid-October. Some varieties are available for u-pick. Visit on the last Saturday in September and the first two Saturdays in October to take part in their Apple Harvest Festivals, which include many FREE activities. Hours: Market hours are Monday through Friday 9am-6pm, Saturday from 9am-5pm, and Sunday from 10am-5pm. Call ahead for U-pick times. Pick-your-own apple orchard in Randolph, OH. Stotler's also offers a variety of jams, jellies, homemade donuts and apple pies, and sugar-free products. This fall, enjoy some fresh air, sunshine and some farm fun at Arrowhead Orchards located in Paris Ohio. Pick apples, enjoy farm-themed fun, navigate the corn maze, take a wagon ride through the orchard and more. Apple Picking/Family Activities: Weekends only (Friday-Sunday) from August 31 through October 21, 2018 and Columbus Day from 9am-6pm. Open Fridays and Sundays from 12pm-6pm and Saturdays from 9am-6pm. Pick-your-own apples in Clinton, OH. Fresh-picked apples are also available. Apple Cider is available starting in mid-September. Pick-your-own apple orchard in Green, OH. They also have apples, Award Winning Cider, Apple Butter, Honey, and Plums. Open mid-August through Thanksgiving weekend from 9am-7pm. Pick-your-own apple orchard in Rittman, OH. Containers are provided. Easy to reach dwarf apple trees. U-pick apples (if available) through early November. Hours: Open to the public year round, Monday through Friday from 8am-6pm, Saturday 8am-5pm, and closed on Sundays and all major holidays. Pick-Your-Own Apples from September 1-October 13, 2018. UNDER NEW OWNERSHIP! Pick-your-own apples in Wooster, OH. throughout the fall. Pick-your-own apples in Doyleston, OH. In addition to apples, the market offers fruits and vegetables, baked goods, and more. Fall Festival Weekends are September 29 through October 13. Read a Review of apple picking at Rittman Orchards at Best Bib & Tucker. Hours: Open year-round, Tuesday through Saturday from 9am-6pm, and Sunday from 11am-5pm. The farm is closed on Mondays and some holidays. Hours subject to change; check here for the latest hours info or call ahead. Remember, if you know of any pick your own apple orchards not on the list or have feedback on an orchard listed, please leave a comment below or submit the details here. Thanks! Each Orchard will be different. You should be able to find out the last date they will be open by calling the individual orchard you are interested in. Beckwith Orchards in portage county is not a pick your own. Thanks for the clarification. I corrected it. Do you know of any apple orchards etc that are non-gmo/organic in northeast Ohio? Monroe’s Orchard in Hiram. Great family, great fall festival for the kids and awesome fun! Bauman Orachard in Rittman is fantastic! http://www.baumanorchards.com. 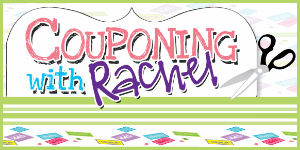 Their fall festival is great for kids, and very easy on the wallet. .50 all day hay rides, $1 cider and hot dog combo meal, and best of all great family time for apple picking! Live music, kettle corn, ect. Check it out! Thank you for sharing. Took my son last weekend after I read your comment. We had so much fun and it was easy on the wallet. Horseshoe orchard off masillon rd just south of akron. They have hard to find old time varieties. 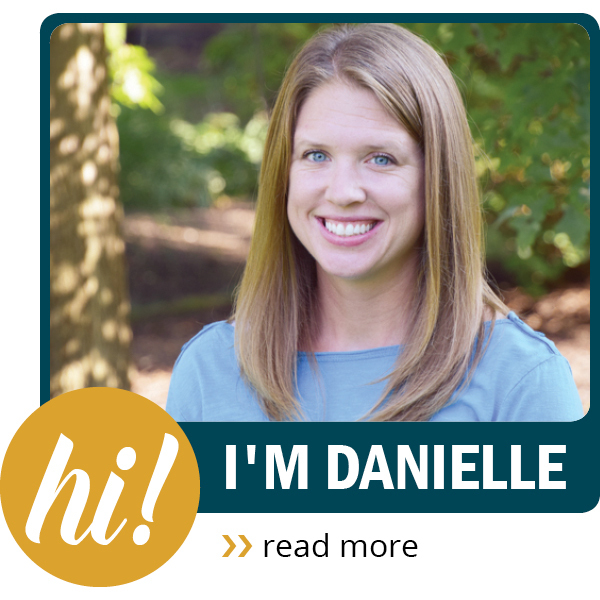 Thanks for the link to my Heavenly Hill Farm post! You’re Welcome! I couldn’t believe so many orchard’s were negatively impacted by the frost. Hopefully you’ll be able to do some apple picking again this year. We are planning to go next weekend.